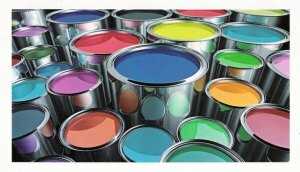 When it comes to base paints, Low Volatile Organic Compounds (VOC) paints are OK, and no VOC, no HAP paints are better. However, did you know that the pigments added for color can be very high in VOC’s? Also, the other unregulated chemicals added under the protection of “trade secret ingredients” can also be toxic? This entry was posted in Products and tagged air, child, dangerous, green, h.a.p., hap, latex, low, no, paint, pollutants, safe, sustainable, toxic, toxins, v.o.c., voc, warning. Bookmark the permalink.